Thirty years ago Wales kicked off a protest which lasted for 19 years. The Greenham Common Peace Camp was started in September 1981 by a Welsh group, Women for Life on Earth, who travelled to RAF Greenham Common in Berkshire to protest against the decision of the British government to allow Cruise missiles (nuclear weapons) to be sited there. The Women for Life on Earth group walked 120 miles from Cardiff to Greenham Common and on reaching their destination they chained themselves to the perimeter fence. They were joined by women from across the UK and during the height of the protests, thousands of women blocked the entrances to the base, cut through perimeter fences and formed human chains around the site. There were some huge demonstrations during the tenure of the Peace Camp. 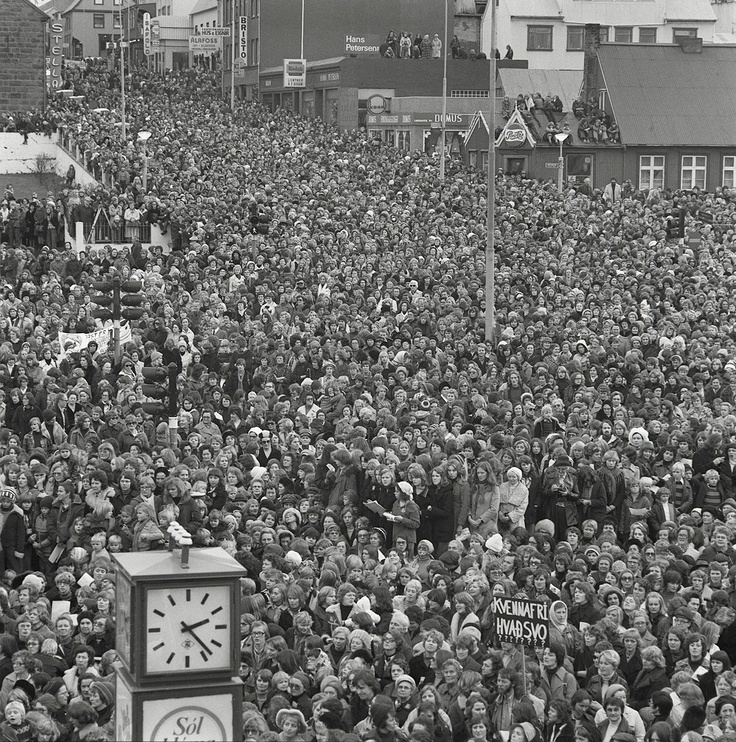 In December 1982, 30,000 women joined hands around the base at the Embrace the Base event. 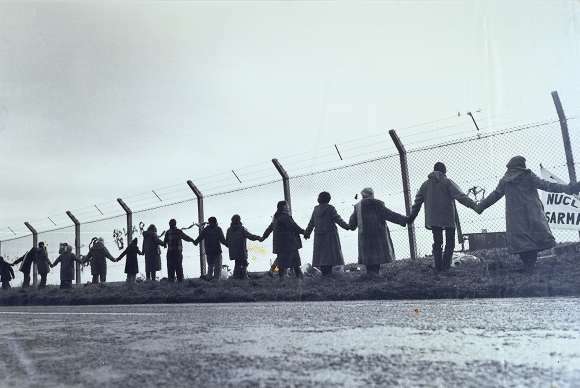 On 1 April 1983, some 70,000 protesters formed a 14 mile human chain from Greenham to Aldermaston and the ordnance factory at Burghfield. Another encircling of the base occurred in Dec 1983, with 50,000 women attending. Sections of the fence were cut and there were hundreds of arrests. The women were ultimately successful as the Cruise missiles were removed in March 1991. The airbase was closed in 1993 but the peace camp remained until 2000. The attention they received prompted the creation of other peace camps at more than a dozen sites in Britain and elsewhere in Europe. 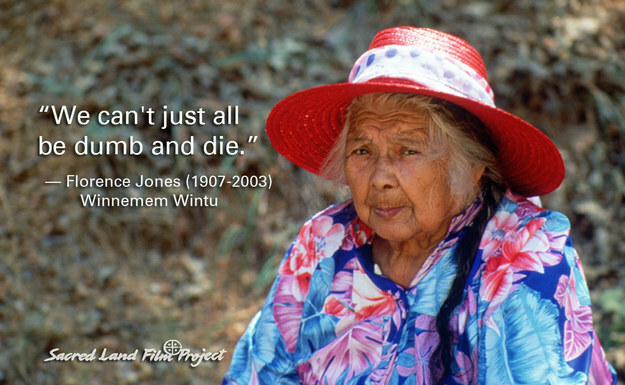 Beloved elder Florence Jones of the Winnemem Wintu Tribe was a top doctor and healer who successfully fought and stopped a proposed ski resort on her sacred Mt. Shasta. One of Germany’s most famous anti-Nazi heroes, Sophie Scholl, was born on this day in 1921. 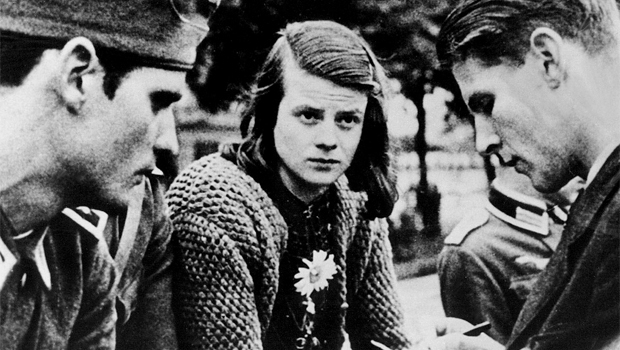 As a university student in Munich, Scholl, along with her brother, Hans, and several friends, formed a non-violent, anti-Nazi resistance group called the White Rose. The group ran a leaflet and graffiti campaign calling on their fellow Germans to resist Hilter’s regime. Scholl first became involved in resistance organizing after learning of the mass killings of Jews and reading an anti-Nazi sermon by Clemens August Graf von Galen, the Roman Catholic Bishop of Münster. She was deeply moved by the “theology of conscience” and declared, “Somebody, after all, had to make a start. What we wrote and said is also believed by many others. They just don’t dare express themselves as we did.” In 1943, Scholl and the other members of the White Rose were arrested by the Gestapo for distributing leaflets at the University of Munich and taken to Stadelheim Prison. After a short trial on February 22, 1943, Scholl, her brother Hans and their friend Christop Probst, all pictured here, were found guilty of treason and sentenced to death. At her execution only a few hours later, Scholl made this final statement: “How can we expect righteousness to prevail when there is hardly anyone willing to give himself up individually to a righteous cause. Such a fine, sunny day, and I have to go, but what does my death matter, if through us thousands of people are awakened and stirred to action?” Following the deaths of the White Rose’s leaders, their final leaflet was smuggled to England. In mid-1943, Allied Forces dropped millions of copies of the “Manifesto of the Students of Munich” over Germany. Scholl is now honored as one of the great German heroes who actively opposed the Nazi regime. Thanks to A Mighty Girl for this post. 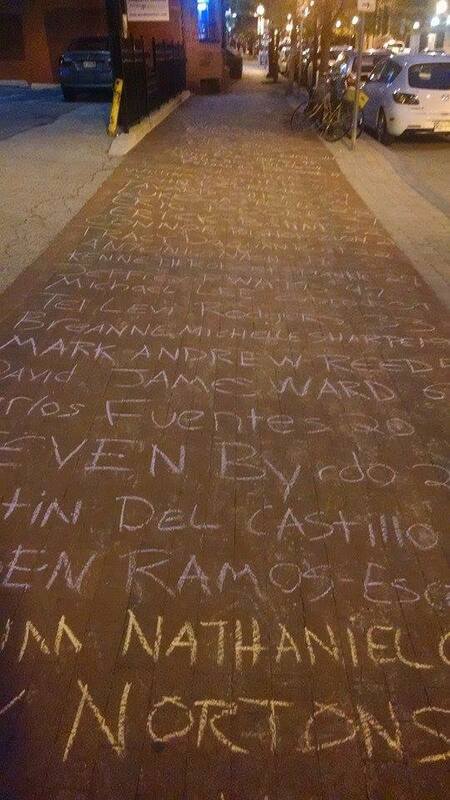 Last week, an activist in Baltimore known only as “April”, began writing names of victims of police brutality along the sidewalk. She began with victims killed on January 1st of 2013 and wrote every name that was recorded until the present day. Names stretched from Penn Station to a George Washington monument in the middle of the city, which is nearly a mile in distance. Wow. 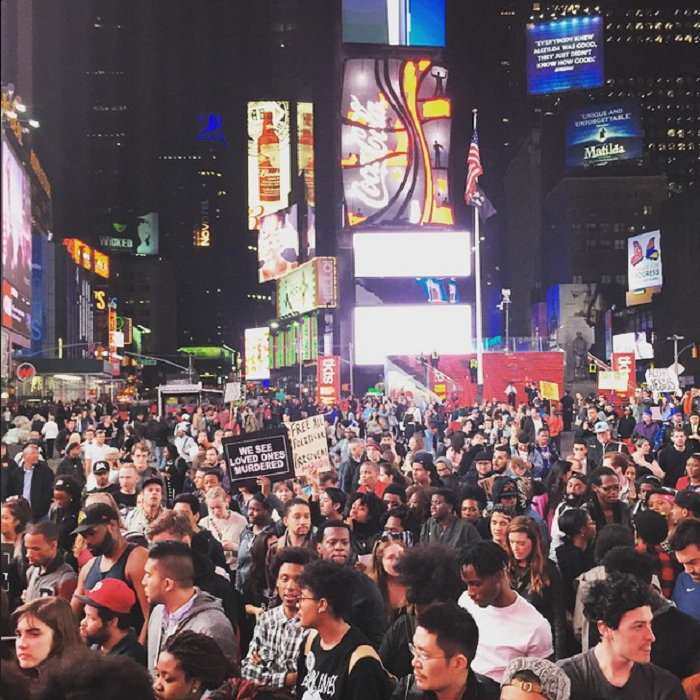 HAPPENING NOW: Thousands of protesters shut down Times Square in solidarity with the #BaltimoreUprising. 8 cities around the country are taking the streets tonight to show support for Baltimore. Thanks to US Uncut for this post. 41 years ago on this date, Gaura Devi led a group of 27 women in the Garhwal Himalayas, to form circles around trees to stop them being felled by loggers. Their protest lasted four days and eventually succeeded when contractors gave up. 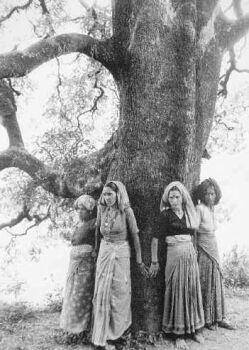 It was the birth of the Chipko movement in India.